The most easterly of the Port of Astoria’s deep-draft marine terminals, Pier 1 supports multiple industries. Along the west side of Pier 1, Astoria Forest Products exports over 75 million board feet of logs annually. 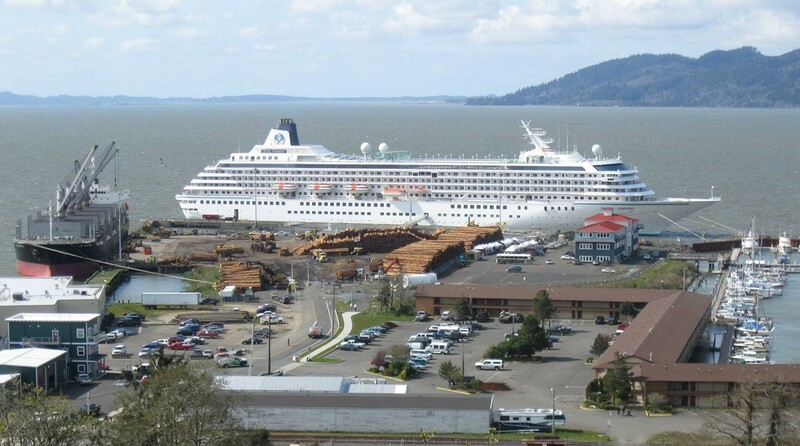 And while Astoria Forest Products is loading logs on Pier 1 West, the north face of Pier 1 functions as a cruise ship berth & port-of-call for a variety of cruise lines including Holland America, Norwegian, Royal Caribbean and Radisson Seven Seas. In between cruise ships, the Port welcomes many different customers and vessels that include the U.S. Navy, U.S. Coast Guard, and Army Corps of Engineers. Cruise operators find the facilities at the Port of Astoria to be first-rate, the citizens friendly and accommodating, and the beauty of the area unsurpassed. This combination of service and scenery has dramatically increased the number of cruise ships making Astoria a regular port-of-call. Previous water quality report(s) can be accessed at the City of Astoria’s Public Works website. On the west coast of the United States, no Port unloads more fish than the Port of Astoria. Pier 2 is home to three seafood processors and provides commercial fishing fleet support via fish off-loading and fish net haul-out areas. Pier 2 serves the bulk of the commercial fishing needs of Port users with its 71,800 ft. multi-tenant building, and up to three new multi-tenant industrial buildings are envisioned as part of the Central Waterfront Master Plan. 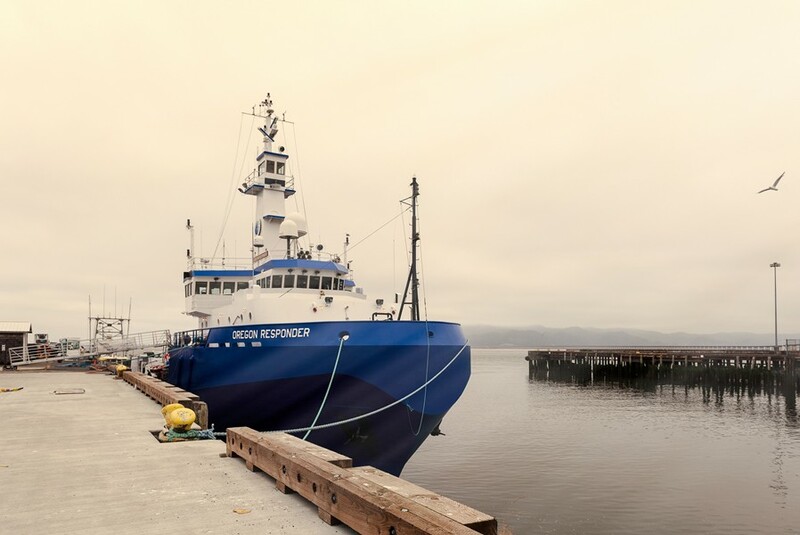 Pier 2 is also home to the Oregon Responder, an oil spill response vessel owned by Marine Spill Response Corporation. Pier 3 primarily serves as a debarking facility and log storage yard for Astoria Forest Products. When a log vessel is berthed at the Port’s export terminal on Pier 1 West, logs are moved from Pier 3 to Pier 1 loading by workers from the ILWU Local #50. Plans are in the works to rehabilitate Pier 3 and make it another deep-draft export terminal. 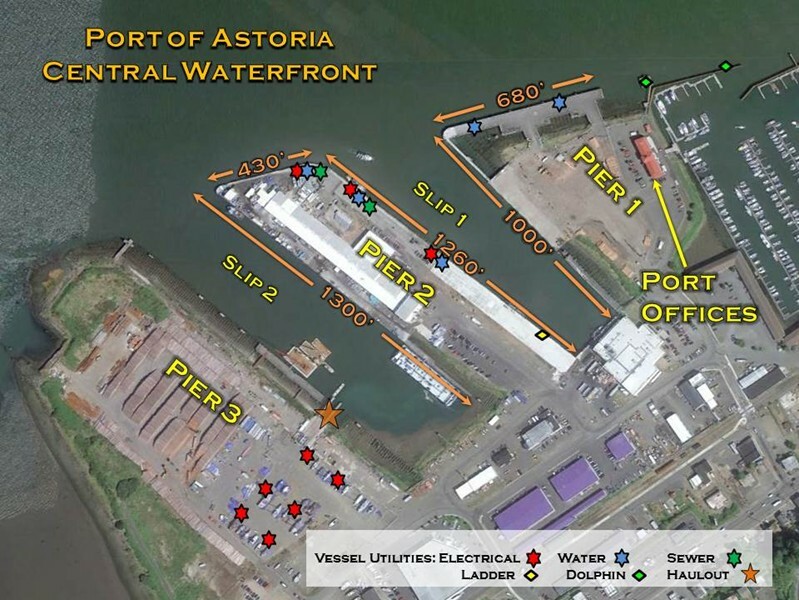 Located at river mile 13 at the mouth of the Columbia, the Port of Astoria's haul-out facility and boatyard are ideally situated for access to the Columbia River basin. Upland storage, long-term boat storage and trailer parking are available at rates significantly below those in urban areas. 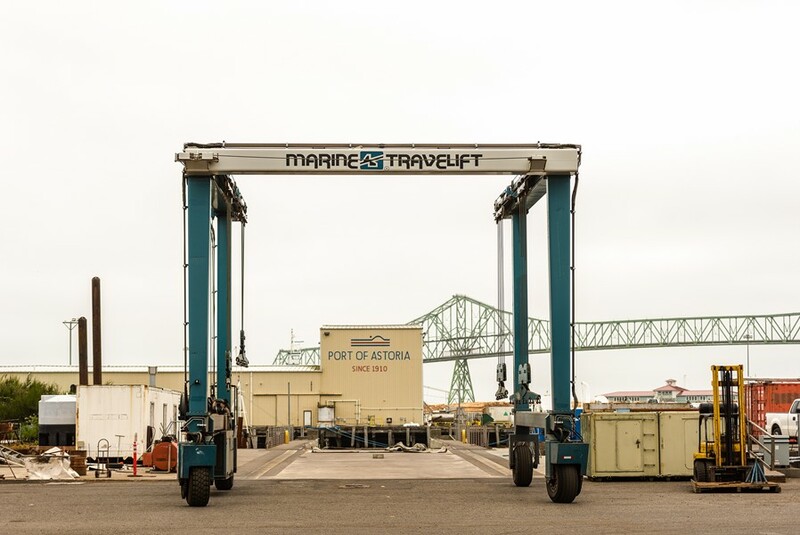 The facility includes an 88-ton TravelLift®, offering excellent lift efficiency and providing greater versatility when placing the vessel ashore for storage or repairs. A wash down system makes it easier to remove algae and barnacles from a boat bottom and dispose of this material properly. Boat owners may contract for repair work with an on-site marine repair business, or lease boatyard space for do-it-yourself work. Haul-Out Reservations are required, and may be made by calling the Boatyard Supervisor from 8 a.m. to 4:30 p.m., Monday through Friday at 503-791-7730 or 503-791-7731. 88-ton TravelLift® Services Now Available.